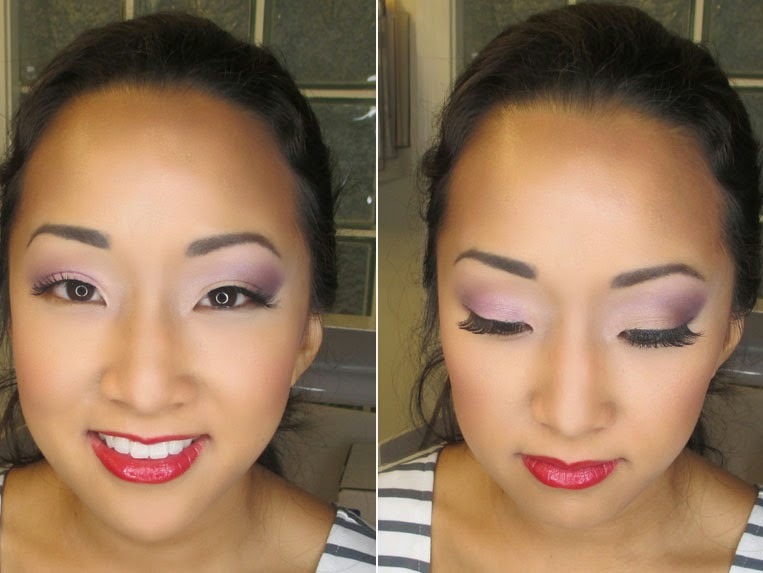 Home asian beauty bridal makeup Bridal Trial: Two looks! I'm back with another bridal makeover. Recently I had a client come in her for her bridal trial - we went for two looks - ceremony and reception. Check it out! For the ceremony, we went for the look on the left, a light pink (Ofra Cosmetics) with MAC Jardin Aires Pigment and browns to contour (MAC Cosmetics). We paired it with a pinky/mauve lip from my Viseart lip palette. We wanted a lot more drama for her second look since she would be changing into a gold sequins gown. We went for a purple smokey eye (Stila Cosmetics) and brought the shadow higher for drama and doubled up on lashes. Another cool tip we learned it to apply a tinted brow gel (Anastasia Beverly Hills) to her tattooed on brows which were fading. Filling them in with a pencil or powder just made them too bold, but the gel tinted it to correct the color. For her lips, we went for red - MAC Redd was a great choice for her since the blue undertones made her teeth super white. I paired it with MAC Brick Lip Pencil and a bit of Graftobian Super Slick clear gloss in the center. Bridal makeover for both ceremony and reception looks are awesome. 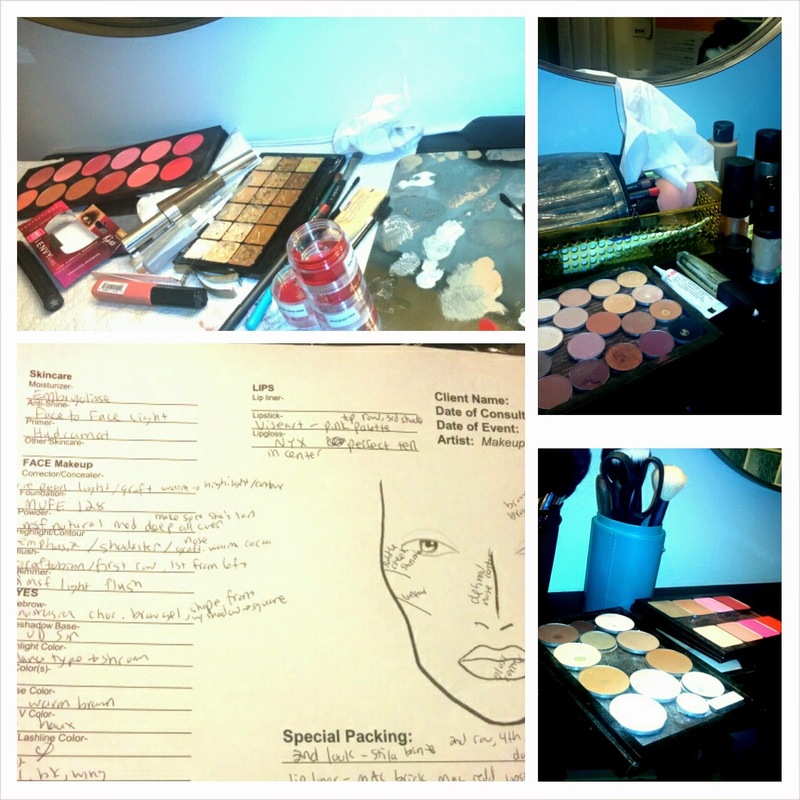 You done such a great job and gave us very useful details about the makeup. Specially Smokey and cheer glitter eye is looking very beautiful.